Interestingly, North Carolina’s strong energy policies may be a thing of the past, according to the NCSEA, which noted that the North Carolina General Assembly recently determined to include a sunset of the REITC provision in 2016’s budget. Earlier this month, a coalition of small-scale North Carolina-based solar energy providers sent an open letter to Duke Energy, headquartered in Charlotte, North Carolina, and the largest electric power holding company in the United States, asking them to publicly back a two-year extension of the REITC. 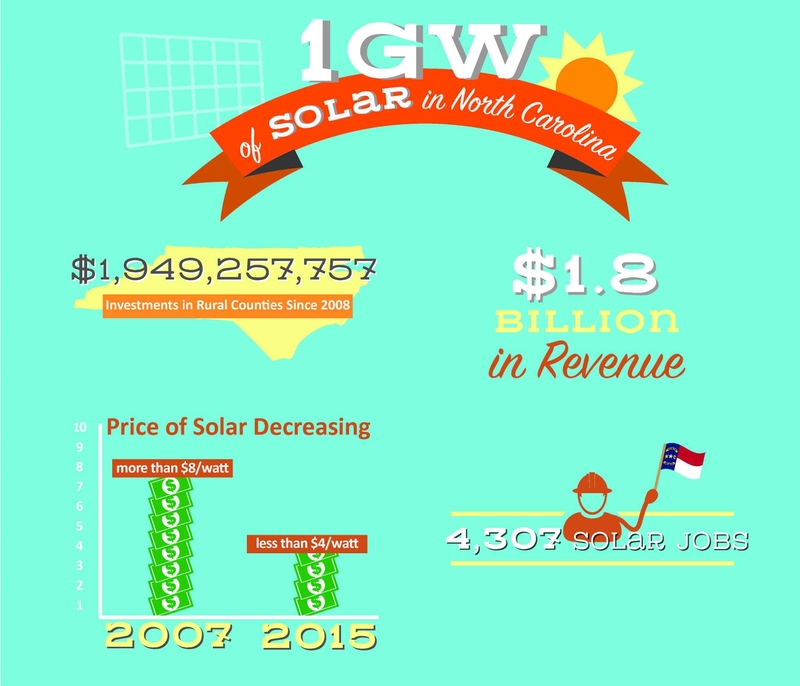 An end to the unimpeded growth of North Carolina’s solar industry will be disappointing, especially considering the recent success the state has had. Just last month US solar power company Principal Power announced that it was teaming up with Entropy Investment Management to co-develop its first major solar project, to be located in Cumberland County, North Carolina. The project will generate the equivalent electricity needed to supply 20,000 average US homes, with construction already under way.